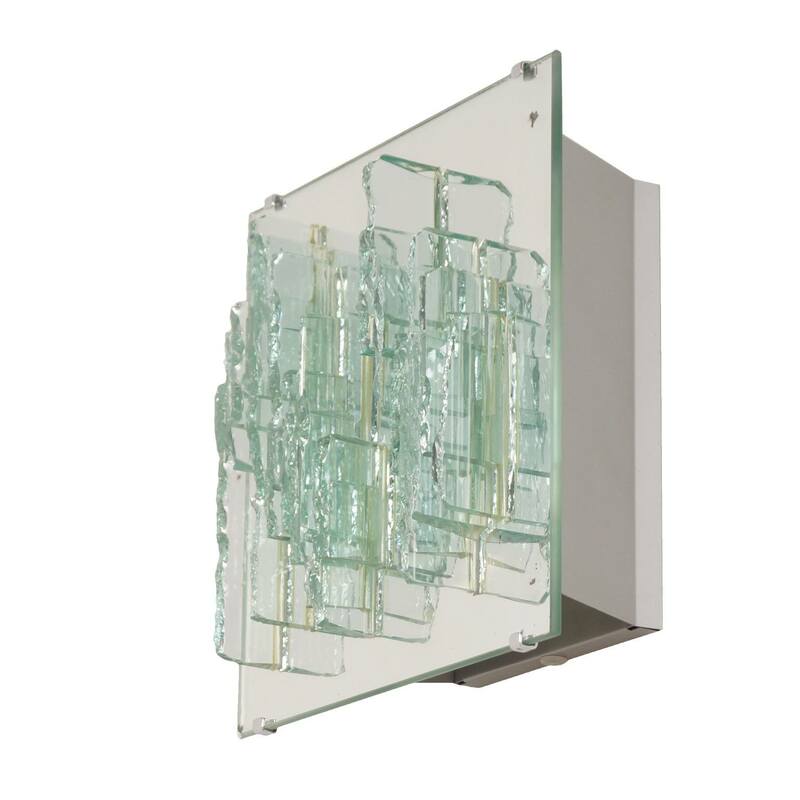 C1517 Breukrelief wall lamp designed by Willem van Oyen for Raak in 1968. Cool beauty that is hardly catchable in words. Chunks broken glass fused on a mirror. Because of the special construction very beautiful when lit. Considering its age in good condition. There are no pieces of the glass, but some usage / wear on the glass (see pictures). Material: mirror / glass and a silver-plated metal frame. In the lamp are two screw bulb holders (E27). Each bulb holder can have Max 60 W. Dimensions: h x b x d = 30 x 30 x 15 cm. Source: RAAK Catalogue 8, page 31.